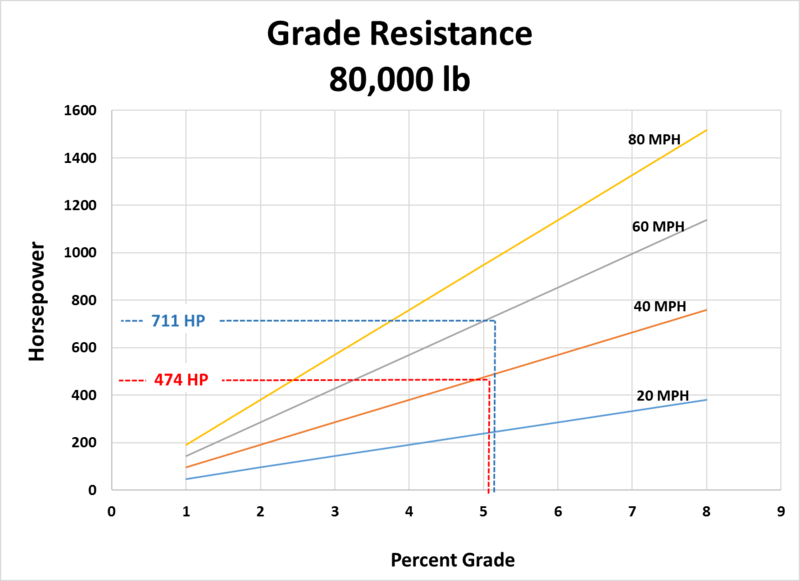 Joseph Johansson | What is grade resistance? The slope of the grade is not expressed in degrees, but in a percent value (rise divided by the horizontal distance). In the truck industry, Grade Resistance is usually expressed as the net horsepower necessary to overcome the grade. To move 1,000 pounds up a 1% grade at 37.5 mph requires one horsepower. 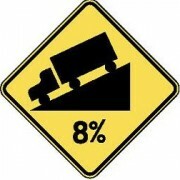 Gravity is a feature of our universal experience, and a truck moving up a grade experiences it as well. This force equals the mass times gravity (F=m x g). Power is required to overcome this force, and is a function of the vehicle mass, the grade and the vehicle speed (see the formula below). The engine power must overcome air resistance, rolling resistance as well as grade resistance, all the while experiencing parasitic mechanical losses. The higher the weight and speed, the higher is the power required to overcome the grade. 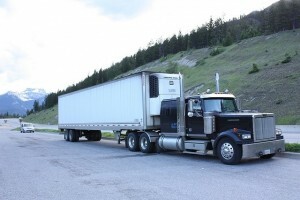 When moving a loaded vehicle up a grade, the only variable that the driver can influence is speed. The power requirement is in direct proportion to speed and grade. Less speed leads to less power requirement (and less fuel consumed), but not necessarily better load efficiency. It takes 426 hp (excluding aerodynamic and rolling losses) to move an 80,000 lb load up a 3% grade. But the same amount of power will also move a 240,000 lb, up the same grade if it is done at only 20 mph. Note that this is only the net power at the flywheel, due to the Grade, and to which must be added power loss due to Rolling Resistance and Aerodynamic Resistance (see other sections on this site). Note how the power demand increases by some 50% by running up the same 5% grade merely by raising the speed from 40 mph to 60 mph. At 40 mph, power consumed is 474 hp (excluding rolling and aerodynamic resistances). However, at 60 mph, power consumed would have to be an impossible 711 hp. The takeaway here is that performance on grades is highly influenced by unrealistic expectations of high speed. Too high speed on steep grades leads to impossible power demand. Truly many of amazing facts. Truly loads of superb information!